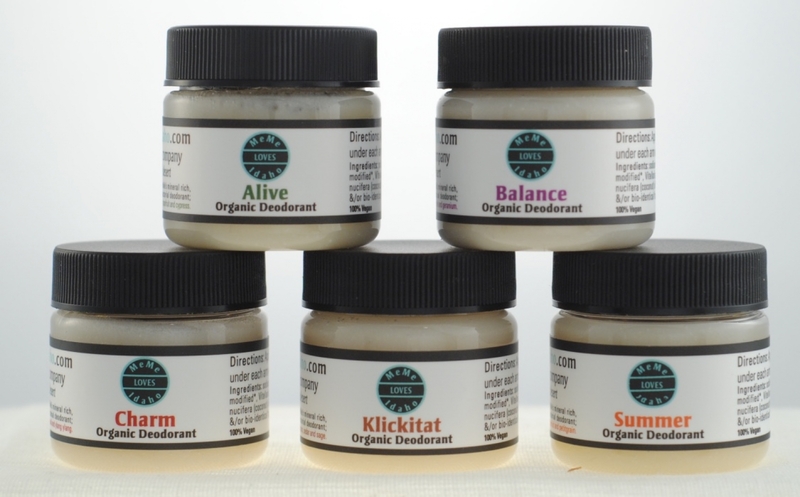 MeMe has carefully poured her lovely 100% natural, oh-so-effectve deodorant formula into half-size jars (her full size jars are 3 ounces; these cuties hold 1.5 ounces) and decided to sell them in five-packs. You will receive all 5 scent blends (Alive, Balance, Charm, Klickitat, Summer). They are great for travel and very easy to share.